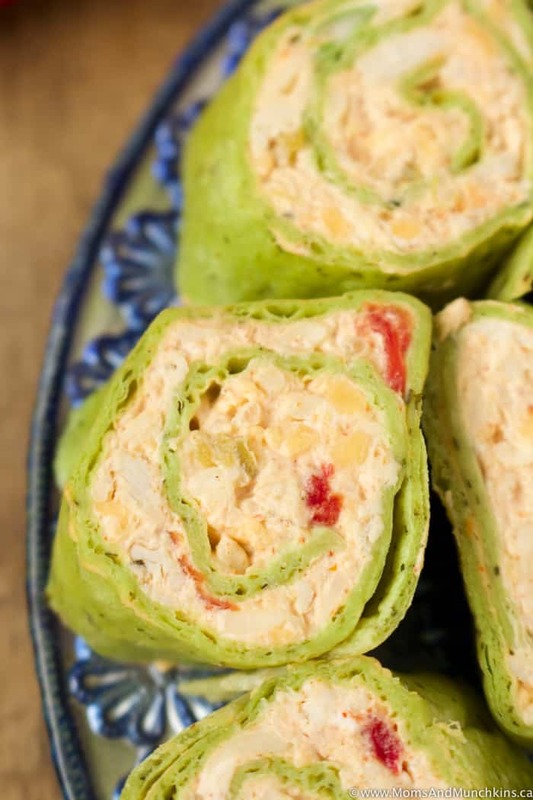 These Mexican Pinwheels make a great party appetizer! This recipe is really easy to make and they can be made the day before your party to save yourself some time (and stress) on party day. You’ll want to make sure these stay chilled in the fridge until it’s time to serve them and don’t leave them out on your appetizer table for too long without getting those leftovers back in the fridge. This recipe is fairly mild but you can add some spice by choosing a spicy taco seasoning mix. There is no baking required for these bite-sized appetizers but you will need to let the wraps chill in the fridge for at least an hour before slicing and serving. Make sure you wrap them well in food storage wrap so they don’t dry out. 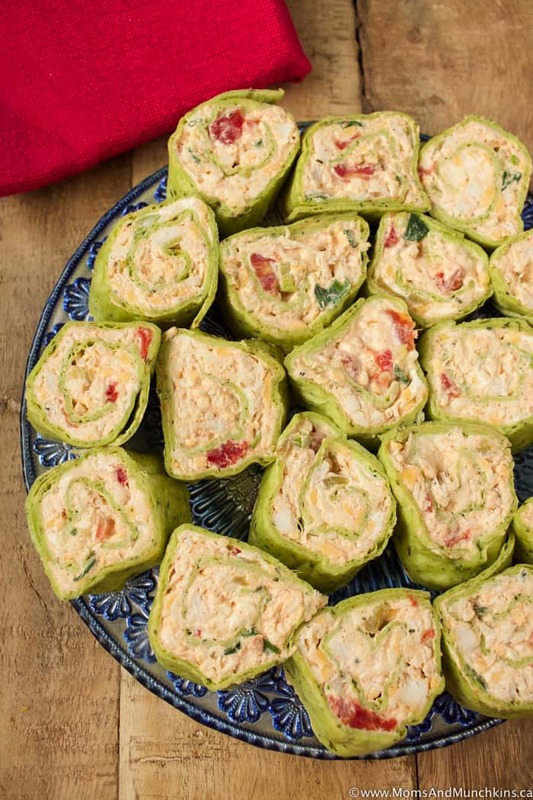 There is no baking required for these bite-sized appetizers but you will need to let the wraps chill in the fridge for at least an hour before slicing and serving. Make sure you wrap them well in food storage wrap so they don't dry out. Combine all ingredients together (except tortillas) in a large bowl and stir well to mix. Scoop approximately 1 cup of mixture onto each tortilla and spread evenly across tortilla (leave about an inch space at the end of the roll as the mixture would just spill out as you finish rolling it). Roll tortillas tightly and place (seam down) on a large plate. Wrap tortillas tightly in food storage wrap and chill tortillas in fridge for at least one hour before slicing and serving. Slice into 1.5" slices and serve chilled. 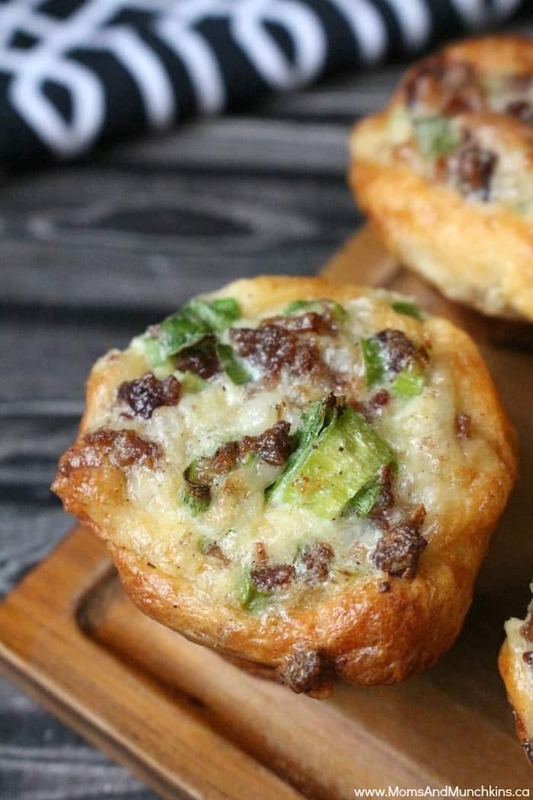 Crescent Bacon Cheese Tartlets – these are one of my absolute favorites! 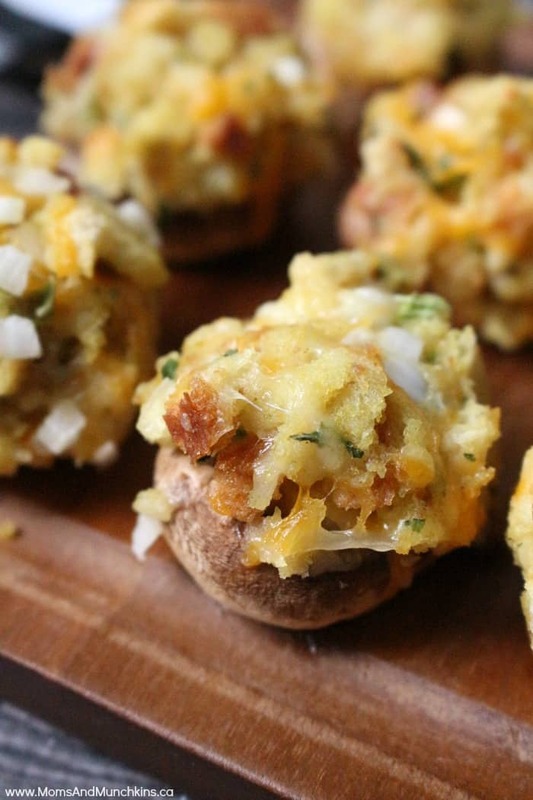 Cheddar Stuffed Mushrooms – these seriously couldn’t be any easier to make. Visit our Recipes page for even more ideas. Never miss an update by following us on Instagram, Twitter, Facebook and Pinterest.